Charlotte (aka Charlie) Reynolds lives with her dad and three older brothers. Well, four, if you count Braden, their next door neighbor and Gage’s best friend. Charlie excels in any and all sports, but she’s never learned all the girly stuff–like makeup, fancy clothes, etc. 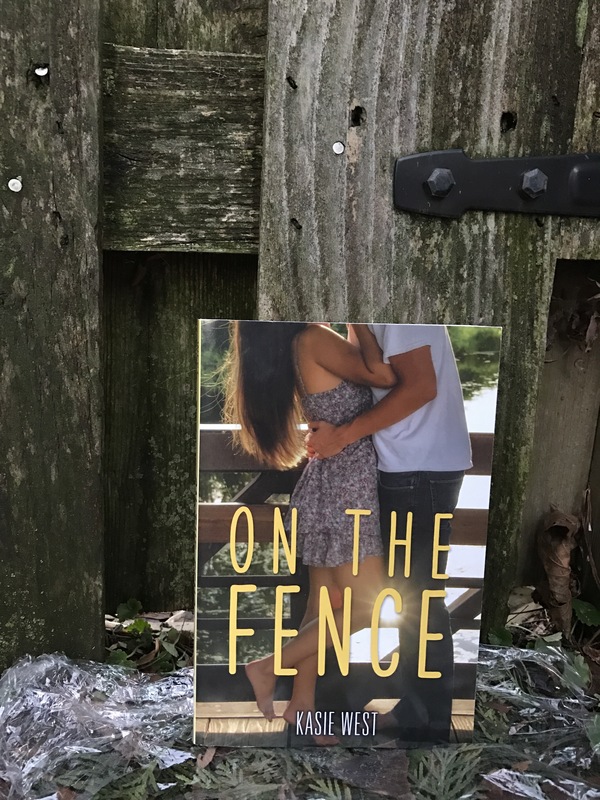 As she fakes her way through her new world and new job, the only thing keeping her sane is her late night fence chats with Braden. But as her true feelings for Braden start to become clear to her, she has to figure out how to follow her heart without ruining her perfect friendship. This was a nice, fun, interesting read. I liked Charlie’s hidden past/childhood, because it made her character more interesting and in depth. Charlie is a relatable, likeable character. I liked how her relationship with Braden was already established, because both of their feelings felt more real that way. This is the third book by Kasie I’ve read, and I’ve loved all of them. I would definitely recommend this book to anyone who wants a quick, fun contemporary read. I flew through it within a matter of hours. Connect with the author! You can follow the author, Kasie West on twitter and Instagram at @kasiewest !